Whomp whomp. There're no Argyle Warriors for sale. Comes with staff accessory and an artist card. 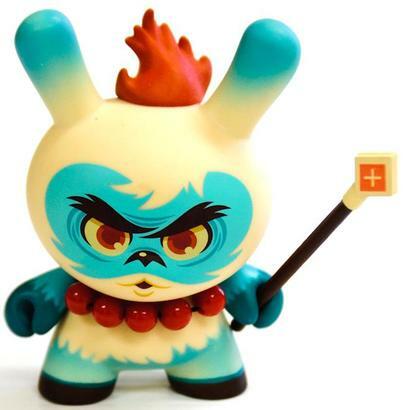 the best dunny in a long time :) which is saying something because this series is amazing. p.s. the necklace is cool. A nice piece, a good choice of colors. The accessories are also pretty cool, and the flaming head piece is a nice touch. Awesome Dunny. Great item for your collection or Dunny army. Comes with staff, beads and figure. Awesome design!